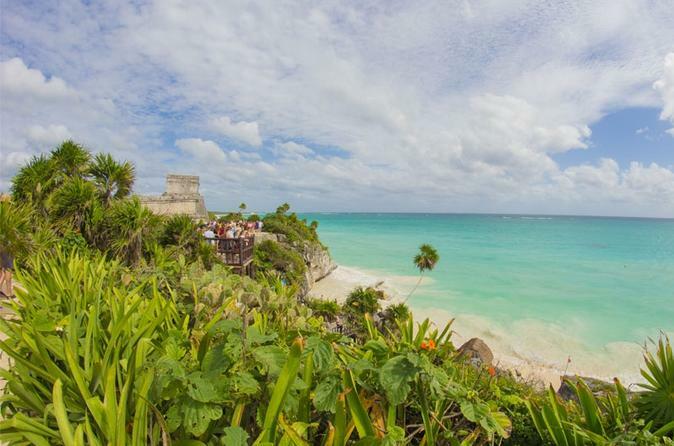 Combine visits to the ancient city of Tulum and its surrounding cenotes on this tour from Playa del Carmen. With a guide to fill you in on the history and archaeology of the well-preserved Maya ruins, you'll get the most out of your time there. Refresh with a dip in two natural cenotes, where you can snorkel and explore. Lunch on a nearby beach included, as well as hotel pickup and drop-off.